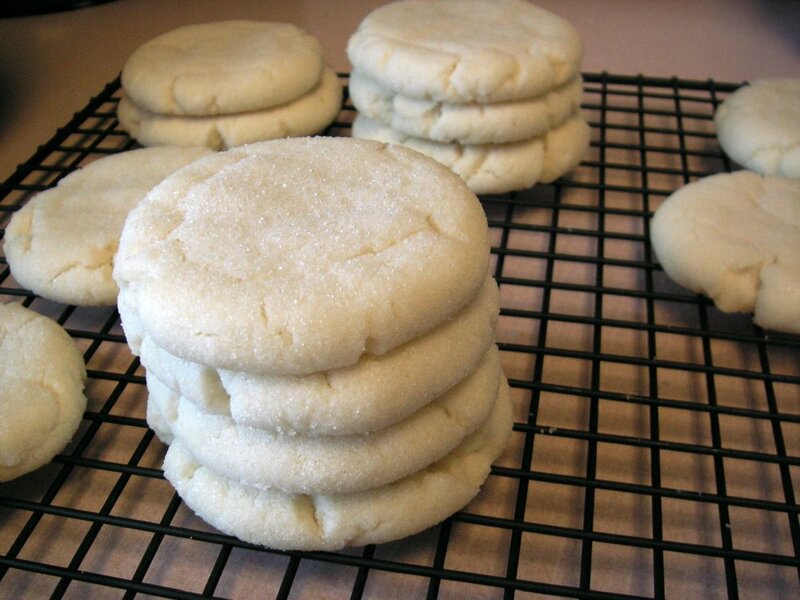 Yes, this is the actual Paradise Bakery sugar cookie recipe, and the cookies taste exactly-the-same delicious. In a medium bowl, cream together sugars and shortening using an electric mixer. Mix on slow speed 30 seconds, then scrape down the bowl with a spatula. Increase speed to medium and mix for 3 minutes. Slowly add vanilla and beaten egg while mixing. In a separate bowl, combine cake flour, baking soda, baking powder and salt. Gradually add the flour mixture to the creamed mixture, mixing on slow speed until just blended. Do not overmix. Scoop with an ice cream scoop and roll in sugar. Place on baking sheet. Flatten slightly with palm of hand. Bake 9 to 10 minutes. Cookies are done when small cracks appear and are pale golden. Ideally, do not let edges brown. Dangerously delicious. I shouldn’t have this recipe. Not because I came about it illegally- it was in the Salt Lake Tribune last week, but because I longer need to drive 40 minutes to get my fix. The cake flour is key, make sure you have some on hand.